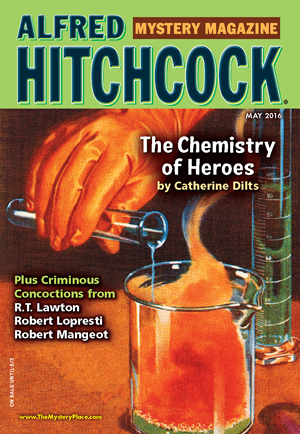 It's May and that means it's time for the Annual Humor issue from Alfred Hitchcock Mystery Magazine. This month features humorous mystery tales from Catherine Dilts, RT Lawton, Robert Lopresti and Robert Mangeot, among others. I love this lighter side issue. It's full of bite-sized crime fiction fun.